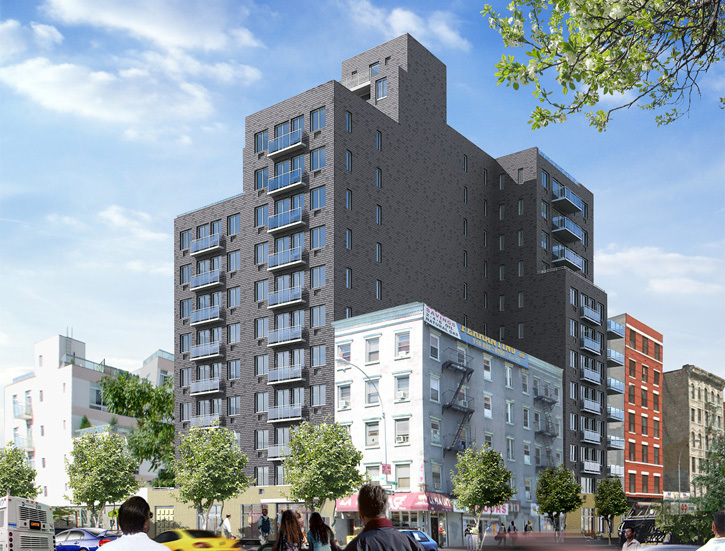 New renderings have been revealed for 208 Delancey Street, a 12-story residential tower coming to the Lower East Side. Back in July of 2015, YIMBY reported that construction had stalled out, and the owner at the time put the project on the market for $35.5 million. New Empire Real Estate is now going to be responsible for the development, and the change in management brought along a completely revamped design, by ODA Architecture, with Shiming Tam serving as architect of record. The redesign distinguishes itself as particularly attractive, with a striking resemblance to Zaha Hadid’s starship condominium structure overlooking the High Line at 520 West 28th Street. While it is not quite as out-of-this-world, the curved windows and protruding terraces will provide stellar views of the Manhattan-Williamsburg waterfronts and the eponymous bridge linking the two. The site is five blocks away from the footpath entrance to the Williamsburg Bridge, and the Essex Street Subway Station, serviced by the J, M, Z trains. The 119-foot tall structure will yield 80,380 square feet of space, with 58,950 square feet dedicated to residential use, and 8,350 square feet dedicated to an ambulatory diagnostic facility on the ground floor. 69 apartments will be created, averaging 854 square feet apiece, likely condominiums. 10 parking spaces will be available on-site, as well as capacity to store 35 bicycles in the cellar. Tenants will have access to a lobby, outdoor recreation area on the second and eighth floor, as well as a rooftop terrace. It appears that seven private terraces will also be made available on the upper floors. 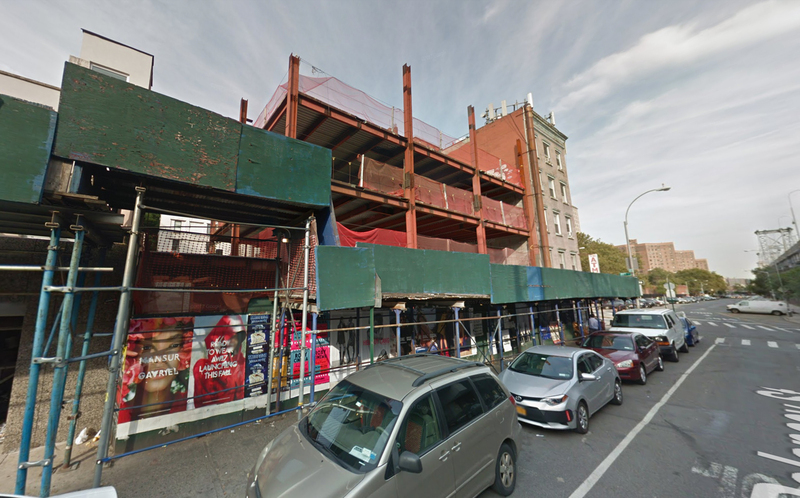 2 Comments on "Contemporary Design Revealed for 208 Delancey Street, Lower East Side"
Please pardon me for using your space: The last piece of development so much magnificent design.